Just passing on an amazing web-site I found this morning. 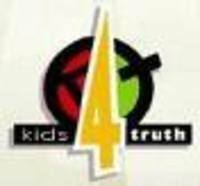 Kids 4 Truth has some great clips on subjects such as creation, wonderful daily devotionals and coloring pages. I only spent about 5 minutes on it this morning, but, man, does it look AWESOME!!! Have a wonderful Spring's Coming Weekend!! As I read my Bible this morning, I found a verse that I should have included in the Adoption section of Volume I of the Unto All Generations. Since it would take me forever to go back and contact all who have purchased it, I thought I'd just put it here, and, let you all add it to your books. 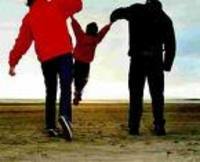 These words would be wonderful on a page with the pictures or story of an adoption. 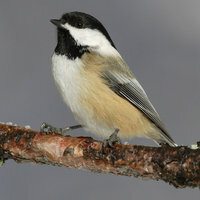 As I walked outside this morning, after a beautiful time of prayer, I heard my most favorite bird, the Black-Capped Chickadee. Within my soul I felt the Lord saying “See, my daughter, spring is here, and, I love you”! Last spring my children and I heard a bird beautifully singing over and over. We decided it sounded like the bird was singing “Jesus, Jesus, Jesus”. That bird became such a part of our day, that we got a CD out of the library to help us distinguish bird calls and find which bird had become our dear friend. You can imagine the humor when we discoverd that distinct call to be the spring mating call of the male Black-Capped Chickadee!! From that one bird last spring my family has become some of “those bird-watching people”. We have 3 different feeders in our yard, a “Birds of Ohio” book within easy reach, and, I have a pair of binoculars set right by the window ~ And yes, I have warned the neighbors that, no, I am not a Peeping Tom. This one precious bird song has become such a part of our family. I even have a stuffed Chickadee on my window sill that actually plays the “Jesus” call if you push the button. 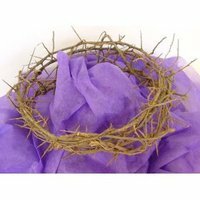 As I heard another male singing this morning I was reminded that Spring is on it’s way, and, my precious Lord is renewing His creation, as well as my life. I start this spring in a new city, and at a new stage of my life. Yet, He still sends His bird to remind me that He is there, in the trees, in my home, and, in my heart. We only need to seek Him! Be sure to take pictures and write down your favorite or special signs of Spring. Keep the camera ready to shoot as the tulip buds begin to come forth, the birds return, baseball practice starts, or that special bush blooms so beautifully. Make a page a "I Know Spring is Here When....."